Paytm App UPI Cashback Offer:- Paytm has come up with its new cashback offer. Where you can earn up to 750 Rs by just sending money to 5 Unique UPI IDs. You'll get 250 Rs Cashback on sending 5000 Rs to any UPI address using your Paytm Bank UPI ID. This "Paytm UPI Cashback Offer" is Valid for all users. Yes, you can easily earn up to 750 Rs by doing transactions above 5000 Rs for different UPI IDs. You have to send 5000 Rs to 5 UPI IDs in order to earn cashback of 250 Rs. You can use this offer 3 times which simply means you can grab up to 750 Rs by doing 15 transactions on Unique UPI IDs. But don't worry we are going to tell you how you can easily grab 250 Rs cashback using this Paytm UPI Cashback offer. Remember that you have to use your Paytm Bank UPI ID to send money to any of yours Tez UPI ID, Phonepe UPI IDs, Bhim UPI IDs etc. In this way, you'll be eligible to earn this cashback offer. As you know that on Phonepe you can create up to 3 UPI ID in a day. So you can use phonepe to send money 3 three times. #1 How To Avail Paytm UPI Cashback Offer of 5 Pe 250 UPI Offer? First of all Download the Latest Paytm Version Download Paytm. After that Login to your Paytm account. Now Click on your Profile Option. On the bottom, you'll see "Cashback Offer"
Click on it and you'll see the banner of 5 pe 250 UPI. Now Click on it and activate offer. After this Send Money to any UPI like Tez, Phonepe, Bhim extra. Keep this thing when you send the first time you'll see claim 50 Rs offer. Don't claim on it and click on 250 Rs Cashback offer. After this, your offer will unlock and send more 4 times 5000 Rs using Paytm UPI to another UPI address. You can track how many UPI transactions you have made on the same cashback offer section. 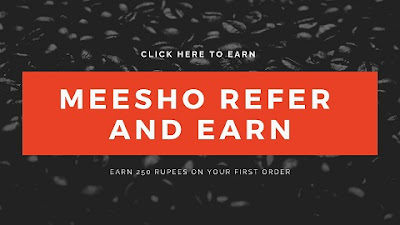 When you complete this offer you'll get 250 Rs Cashback free of cost. Now you can follow all steps 2 more times to get 750 Rs free of cost. #2 How To Avail Paytm UPI Cashback Offer of 10 Pe 100 UPI Offer? In this "Paytm UPI Cashback Offer" you have to do 10 transactions of 10000 to unique UPI address to be eligible for this offer. After doing successful transactions you'll get 100 Rs Cashback in your Paytm Wallet. Follow the same steps as you have followed previously for the earlier Paytm UPI cashback offer. Click on it and you'll see the banner of 10 pe 100 UPI. Don't claim on it and click on 300 Rs Cashback offer. After this, your offer will unlock and send more 10 times 10000 Rs using Paytm UPI to another UPI address. When you complete this offer you'll get 100Rs Cashback free of cost. If you don't have enough UPI Ids then you can use Phonepe to generate 3 UPI IDs. But still, we required more UPI Ids to get 750 Rs UPI Cashback in our Paytm. So for this use "Bhim KotakPay app". and generate UPI IDs from this. You can do one more thing you can add paytm bank account there on Bhim Kotak Pay App. So every time you send money using your Paytm Bank UPI ID it'll be reverted back to Paytm Bank itself and you can do your 15 UPI transactions easily. First Open the Bhim Kotak Pay. Click on Bank Account Option. After that Tap on Virtual Private Address. Now there you'll see Edit option. After this Fill any Unique ID and Click on Verify Option. Done. Now you are ready to use this UPI ID to send money via Paytm UPI. So this was the Paytm Cashback UPI offer to earn some cashback up to 750 Rs. Now you can use Bhim Kotak Pay to generate unlimited UPI ids for Paytm UPI Cashback offer.